47 Places Sold, Only 3 Places Left! 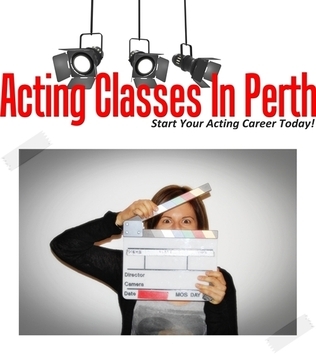 This one day course is for Perth actors of all levels. This is an experience that Perth has never had before and it's going to be a game changer for you - the Perth actor - to leverage new work opportunities in addition to allowing you to meet and learn from a very special guest, but more about that in a second. B) Create their own work. There are so many actors in Perth who are talented and have an understanding of the craft, yet they lack the actionable knowledge and skills to reach that next step in their careers as actors. This is not 1995 any more, and if you are relying on a casting director, producer, or director, to find you through outdated means like an agent, or talent sites, you are simply living in the past. Don't get me wrong, an agent and talent directories are required for your success, but if you're solely relying on them and you're not taking advantage of social media and new technologies to explore new work opportunities, then you simply aren't doing enough, and you have not yet experienced your full acting potential. To put it very simply, the future is now and actors who build their brand, & leverage social media & new technologies find themselves being propelled forward and being provided opportunities that the average actor doesn't see. Oh, and by the way, if you think that "Well I have a facebook account, I'm using social media" you've missed the point, and when you finish this course, you will be amazed at all the work and potential projects that you are missing. In this course Acting Classes In Perth will be joining forces with Jo Saunders, an absolute mastermind. Jo will be bringing to this course an extensive knowledge of all the social media platforms you need to take advantage of and how to produce results (and it's a lot easier than you think!). In addition to this Jo and I will also teach you about the 'actors brand' and what you need to know about your brand and your perceived value and how the industry sees you. Now, as always this course is structured to be fun, but in addition, it's information packed, so you will leave with a wealth of new knowledge and tools in just one day. We have a limited number of places for this course, so you'll need to enrol soon and all you need to do to book yourself a place is fill out the online application form and pay your course fees, it's that easy. I hope you are doing well, and Jo and I really hope we see you at this course. So make sure you take advantage of this opportunity and enrol before all the places fill up - don't miss out. Acting Classes In Perth Tip #02 Always be friendly and polite. It will help you develop a good working relationship with other people in the industry which will in turn end up helping you get more work. Acting Classes In Perth Tip #06 Don't break out of your character, even for a second. If you mess up your lines, or a prop falls over, just keep going, and behave as your character would if it was supposed to happen. It is important to stay in character and not let little errors or distractions break you out of that mindset. Acting Classes In Perth Tip #14 Stay positive. It's a highly competitive & tough industry so it's hard not to get down sometimes or feel like giving up, but the people who make it are not necessarily the most talented or best looking, it's the ones who never give up despite what obstacles they face. Acting Classes In Perth Tip #18 Your own life experiences are valuable learning tools not only personally but in relation to your acting too. If you are able to reflect on the positive and negative events in your life and learn from them, then you will be able to draw on that priceless knowledge for script understanding and character development. Acting Classes In Perth Tip #39 Delve into your character's mind. You must research the character you are going to play in great detail. Create a full bio for the person eg. Where are they from? Are they educated? What family do they have? Some of the information you will be able to find from the script, the rest you will need to create from your own imagination. Just make sure you're specific so that you know the unique qualities that make up your character and how you will portray them. Acting Classes In Perth Tip #50 When playing a character who is not of the same background as you, learn their slang, dialect, and accent. How do they say their sentences differently to you? Do certain words have a completely different meaning where they come from eg. 'thongs' in Australia (shoes) versus 'thongs' in the US (skimpy underwear) could lead to an embarrassing misunderstanding of how to say your lines. Acting Classes In Perth Tip #51 Your throat is made up of many muscles that need to be warmed up before being used in an acting environment. Make sure you do vocal warm-up exercises beforehand and treat your precious asset with the respect it deserves.